An annual WEF report—based on a survey of about 1,000 respondents drawn from the Davos community of company chiefs, politicians, civil society and academics—listed climate change as the dominant concern for a third year running. Like Trump, Bolsonaro is a climate sceptic. But the two populist leaders won't get to rub shoulders in Switzerland after the US president cancelled his trip owing to the budget crisis in Washington. ... Future Shocks: As the world becomes more complex and interconnected, incremental change is giving way to the instability of feedback loops, threshold effects and cascading disruptions. Sudden and dramatic breakdowns—future shocks—become more likely. 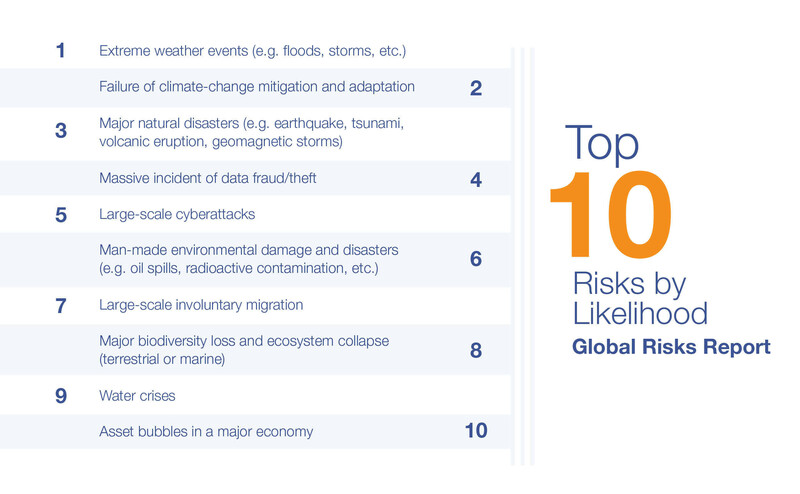 In this section, we present 10 such potential future shocks. Some are more speculative than others; some build on risks that have already begun to crystallize. These are not predictions. 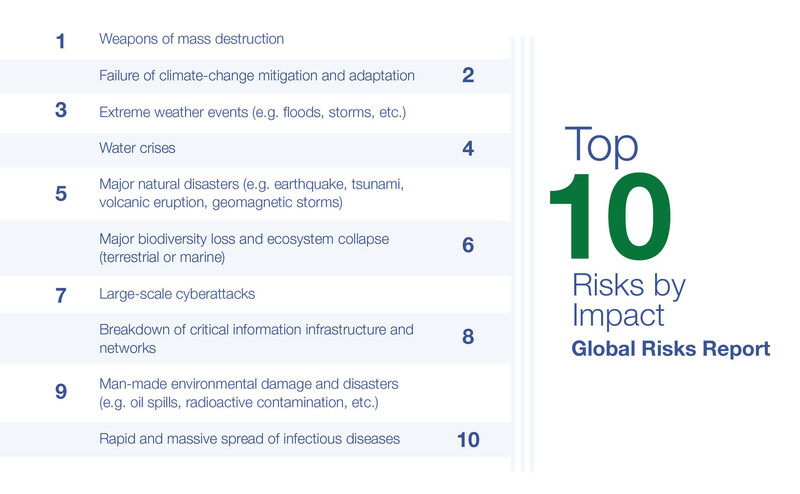 They are food for thought and action—what are the possible future shocks that could fundamentally disrupt or destabilize your world, and what can you do to prevent them? When something goes wrong in a complex system, problems start popping up everywhere, and it is hard to figure out what’s happening. And tight coupling means that the emerging problems quickly spiral out of control and even small errors can cascade into massive meltdowns. O no! World's foremost oligarchy refuses to participate in world conference of oligarchs ! At places like Davos, people like to tell success stories. But their financial success has come with an unthinkable price tag. ... We are facing a disaster of unspoken sufferings for enormous amounts of people. And now is not the time for speaking politely or focusing on what we can or cannot say. Now is the time to speak clearly. ... Adults keep saying: “We owe it to the young people to give them hope.” But I don’t want your hope. I don’t want you to be hopeful. I want you to panic. I want you to feel the fear I feel every day. And then I want you to act.